We, the original signatories hereto, seeking to enhance the online gaming experience of our members as well as of all persons with whom we may interact, do hereby constitute and create the organisation known as FEDERATION COMMAND (also referred to as the "Fleet") for this purpose. FEDERATION COMMAND, as an organisation and entity shall be deemed to exist from this point forward independent of any of its original signatories and until disbanded by a unanimous vote of the Council of Admirals, as created herein. The purpose, duty and responsibilities of these institutions are outlined hereunder. 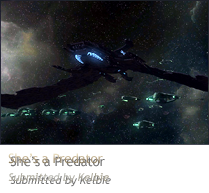 The ability to Create Policy; Veto Any Council Vote (regardless of support); To possess "Founder" Level Administrator Access or equivalent; Full FTP Access to the FEDERATION COMMAND website; The right to appoint/dismiss Officers from the Council of Admirals and Privy Council, Starfleet Command and Departments; To change Fleet Condition Status, To declare War/Peace; To Approve/Cancel Diplomatic Pacts; To Approve Retirement and Resignations; To promote or demote to any rank, To make an Announcement in the name of FEDERATION COMMAND; To order the Arrest of any Officer; To dismiss any Officer from the Fleet. For all other matters not outlined in this Constitution or any Policy of the Fleet, the Executive Committee must have the consent of the Council of Admirals whom by default has jurisdiction. Additionally, any decision and/or ruling and/or Policy by the Executive Committee is hereby subordinate to any majority ruling of the Council of Admirals on a case-by-case basis, except where otherwise stated in this Constitution. In exception to overruling decisions, no other punishment or restriction may be imposed upon the Executive Committee. Cannot make policy; Must have the endorsement of at least one member of the Council of Admirals to remove another member of the Council of Admirals; Can be appointed/dismissed by a majority vote of the Council of Admirals. Upon official reapplication by one or both of the Founding Fleet Admirals, the Executive Committee is automatically reactivated and command of the Fleet reverted to the returning Founder(s) Picard and/or Jesse; whereby the interim Fleet Admiral's position within the Fleet is at the discretion of the Executive Committee. The Privy Council advises the Executive Committee (or Fleet Admiral) on a range of topics, such as legislation, administration and justice. Its membership consists of any number of Officers, such as veterans or retired Officers but not members of the Council of Admirals. The appointment of members of the Privy Council is solely the discretion of the Executive Committee (or Fleet Admiral). Members of the Privy Council are entitled to read-only access of the 'Council Chambers', and are expected to raise any topics of concern with the Executive Committee (or Fleet Admiral) privately, rather than with the Council of Admirals. These concerns will be handled in confidence, as the Council of Admirals is not entitled to reciprocal access to any forum of the Privy Council. The Executive Committee (or Fleet Admiral) may delegate any powers granted to them in this Constitution to the Privy Council as a whole. Powers require a defined level support in the Privy Council who may then act on behalf of the Executive Committee (or Fleet Admiral) when and if instructed. All Official Star Trek Games, especially: Star Trek Online, Star Trek Legacy, Starfleet Command III, Bridge Commander, Star Trek Armada II, Elite Force II, Elite Force 1. Other departments may be created, but the aforementioned departments are unalterable. The special case of appointing Forum and Website Administrators falls directly under the Executive Committee (or Fleet Admiral) and due to the potential of abuse it is not bound by Policy, but by individual rulings from the Executive Committee and Council of Admirals on a case-by-case basis. Additional information on departmental procedures and policies may be subject to change and are found within the respective department charter as well as the Code of Conduct of FEDERATION COMMAND. The Office of the Judge Advocate General is the judiciary branch of FEDERATION COMMAND. This article establishes the Office of the Judge Advocate General. This Office performs duties pursuant to a Court of Appeal, and as part of executing those duties may interpret this Constitution as allowed by Article XI. The Office of the Judge Advocate General shall be accountable only to the Executive Committee (or Fleet Admiral). The Charter of the Office of the Judge Advocate General further outlines the authority or rights of said Office. Membership to FEDERATION COMMAND may only be granted by a member of the Council of Admirals or other official delegated by Fleet Policy. Members must agree to have read and understood this Constitution and be bound by the 'Code of Conduct'Policy. All Officers of FEDERATION COMMAND, a subset of members, are entitled to "Officers" level access on the forums, unless temporarily suspended by the Executive Committee (or Fleet Admiral) or Council of Admirals otherwise where Fleet Policy allows, for a maximum of two weeks. The term "Officer" applies to a member of FEDERATION COMMAND who holds a "commission" as outlined in the Chain of Command Policy. I, (name of applicant), solemnly and sincerely affirm that, on becoming a member of FEDERATION COMMAND, I will with the utmost honour, integrity, and respect, be faithful and bear true allegiance to the Constitution and associated policies, customs and glorious traditions of FEDERATION COMMAND and all lawful orders of the Officers appointed above me, for as long as I remain an Officer. A Hall of Fame position may be awarded to a former member of the Fleet by a unanimous Council of Admirals vote proposed by any Councillor. This member must be unconditionally retired or resigned. A six (6) month delay exists between the day the unanimous Council of Admirals vote is considered passed and the final (automatic) granting of the Hall of Fame membership. If during that six (6) month period the nominated Officer returns to active duty within FEDERATION COMMAND, the vote is deemed annulled and consequently the Hall of Fame nomination is terminated. A Hall of Fame member, once appointed, can never be removed from the list. The list shall always be displayed on the website when there are names on it. 4. The Policy of the Fleet shall form an Appendix to this Constitution and must be made available with it. The Executive Committee (or Fleet Admiral) shall be the highest authority for interpreting the meaning of any of the provisions contained in this Constitution or in any regulation of the Fleet Policy made thereunder. The Judge Advocate General is also permitted these rights, subordinate to the above right, for matters directly related to his/her duty as outlined in the Charter of the Office of the Judge Advocate General. Only the Council of Admirals has the authority to amend this Constitution by a unanimous vote. Any such vote shall require a written notice in the 'Council Chambers', and that vote shall only be resolute if it also meets all the relevant voting criteria specified in Article VI. Any amendment made to this Constitution can be vetoed by either of the Founding Fleet Admirals, Picard and Jesse, including an amendment to this Article, regardless of their membership status in this Fleet. Upon approval of an amendment, the Constitution shall only be edited by the "Council Legislator" who is responsible for ensuring the spelling and grammar of the amendment is correct and fits with the flow of the rest of this document. By default, the Council Legislator is a member of the Executive Committee (or is the Fleet Admiral) unless delegated to another by the Executive Committee (or Fleet Admiral) or Council of Admirals. Officers may request to 'retire'instead of resign when they no longer wish to continue as an active Officer of FEDERATION COMMAND, but wish to continue on as a member. Retirement allows an Officer to retain their rank, and use tags in games supported by the Fleet, except during war time unless approved by a member of the Council of Admirals. Retired Officers wishing to return to active duty are encouraged to do so by renewing their oath to FEDERATION COMMAND in the appropriate forum. Upon acceptance of the renewed oath, the retirement rank may be restored at the discretion of the Executive Committee (or Fleet Admiral) or the Council of Admirals. An Officer who requests retirement is permitted to also request special privileges as a condition of their retirement, such as special forum access, higher returning rank and in rare cases, administrator and FTP access. There must be a valid reason for making any such request, which will be handled on a case-by-case basis by the Executive Committee (or Fleet Admiral), or the Council of Admirals. Retirement shall remain in effect indefinitely unless that Officer subsequently resigns, joins another entity which supports the games of FEDERATION COMMAND, or is removed by the Executive Committee (or Fleet Admiral) or the Council of Admirals due to misconduct. The Fleet may cancel the membership of any member of the Fleet, should that member have acted in a manner contrary to the best interests of the Fleet. Any such cancellation shall be made by the Executive Committee (or Fleet Admiral), or the Council of Admirals. The cancellation of membership shall be delivered in writing forthwith by a member of the Executive Committee (or Fleet Admiral), or a delegated representative of the Council of Admirals assigned by the Executive Committee (or Fleet Admiral) in the event of a vote. Any person who has their membership cancelled shall have the right to appeal once to the Executive Committee (or Fleet Admiral) for the reinstatement of their membership. The above rights do not pertain to any member in the Fleet who does not hold a commission and can be removed where Policy permits.